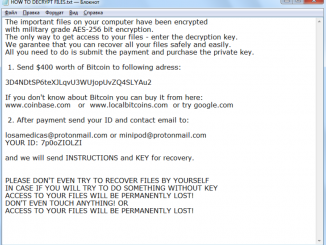 This article today is dedicated to Marozka cryptovirus which has become more active in the last couple of weeks of March this year. Like many analogues, it comes to a computer that encrypts user data of various formats, including audio, video, documents, office and much more. Moreover, it changes the extension of the infected files to .Marozka. 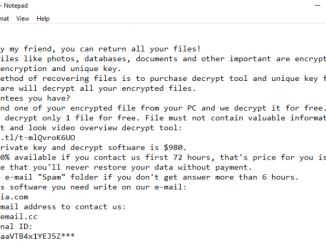 SEND.ID.TO is cryptovirus extorting money from users. After it penetrates your system, it encrypts your files in various formats, including Office documents, multimedia, photos, videos and more. Also, it is worth noting that it encrypts user data using a special algorithm AES-256, which makes these files unusable. 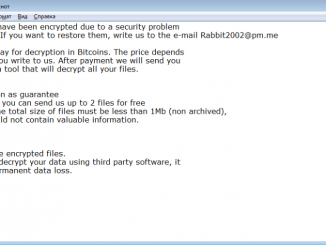 Today’s article is devoted to RabbitFox cryptovirus that has become very common in the last week. 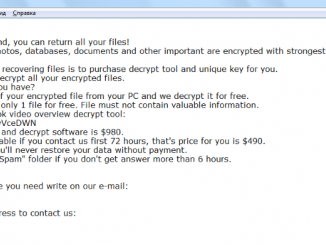 This virus, like many analogues, comes to the computer and encrypts user data of various types, including Office documents, audio, video, multimedia, archives and much more. Today we will try to describe the Tronas cryptovirus that comes to the computer and encrypts user files of various formats (documents, office, audio, video, archives, multimedia, and so on). It is worth noting that Tronas encrypts files using an algorithm that makes files “stony”, in other words, unsuitable for further use.